The Dianne Craft “Right Brain” Learning System first started as Child Diagnostics, a private consulting firm, founded by Dianne Craft in 1997 in Denver, Colorado. 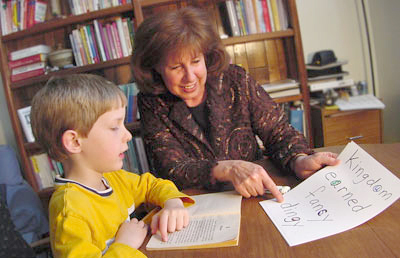 Families traveled across the country to work with Dianne to learn more about their child’s learning problems. Dianne informally assesses the children and teens she works with to find the missing piece to their learning struggles and creates 1 year plans to help them get caught up and feeling confident about learning again. Now, the Dianne Craft “Right Brain” Learning System is the Leader in Alternative Teaching for children who are working too hard to learn. I believe that kids can be helped with natural methods. During my years of teaching I observed how the cocktail of medications that were being given to children were counterproductive, causing the children to develop emotional disturbances and counteractions to what the purpose of the medications were in the first place. I found that the goal was to cut down these intakes to healthy levels and to use natural supplements. That’s why I call my process unique. You don’t take your child to an educator and find out unusual health circumstances that are affecting learning. I see all sorts of problems such as dark circles under eyes, anemia, pyroluria (large white spots on fingernails-zinc deficiency, which causes nervousness and anxiety), and allergies to dairy (which can cause writing reversals). When a child has a learning problem i t always manifests in some way physically so we just read the body. Be sure to check with your child’s physician before adding supplements or adding exercise programs.